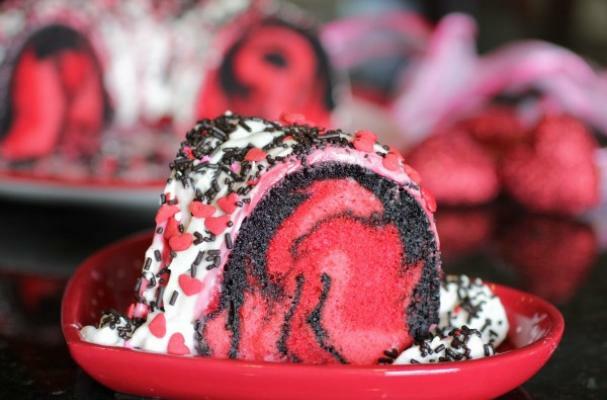 This incredible tie-dye cake from Cooking with Sugar is a fun Valentine's Day project to do with the kids. The best part about making this dessert (aside from spending time with the kids) is twisting and swirling the different colors. You can recreate the color combinations in this recipe or come up with your own. You'll want to make this colorful creation for every holiday. For full recipe directions, click here.